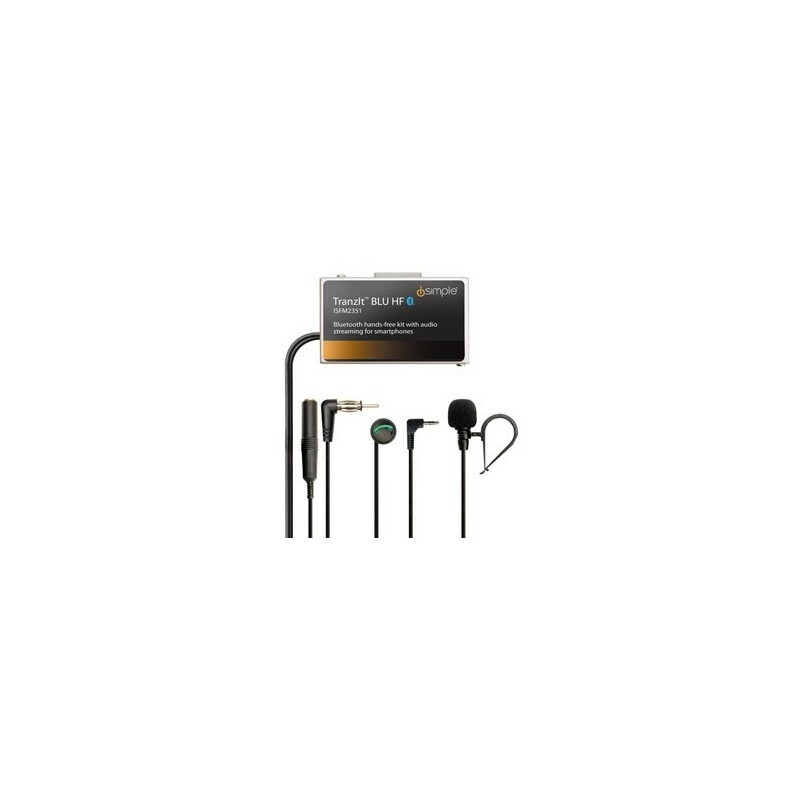 Enjoy hands-free calling, texting, navigation and audio streaming through your vehicle's radio with help from this module that utilizes Bluetooth technology to ensure simple connection to your compatible mobile phone. Some vehicles may require additional antenna adapters . 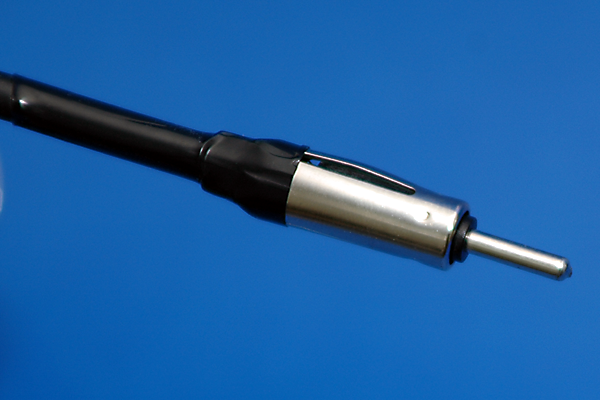 If your vehicle is not equipped with a "Motorola Style" antenna connector (see pic below), then you will need adapters. Texting and driving is downright dangerous. Driving requires focus, concentration, and full awareness. But sometimes, you need to take an urgent call that just can’t wait. Prevent the dangers of using your phone on the go with TranzIt BLU HF. Engineered to work with most smartphones, TranzIt BLU HF is designed for crisp, clear communication without taking your eyes off the road. The touch-button control simplifies music playback, calls and voice recognition, and the 3.5mm audio output connects your device to anything with an auxiliary (AUX) input. Now you’ll be able to enjoy your smartphone’s audio through your car’s FM radio. Hands-free calling. Call anyone without taking your attention off the road. TranzIt BLU HF is designed to make it as easy as possible to use your phone to communicate, without endangering yourself or other drivers. Wireless audio streaming. 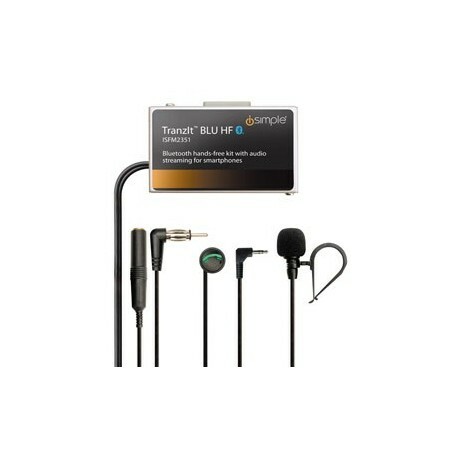 TranzIt BLU HF communications with your device via Bluetooth, eliminating the need for cumbersome wires. Music playback control button. Wirelessly control your music playback with a simple button. Compatible with your phone’s VR function. Use your phone’s VR button to send texts and emails, dial a contact, or get directions from online. Antenna input and output. TranzIt BLU HF has universal radio compatibility. Bluetooth enabled FM transmitter with HFP, A2DP, & AVRCP support. No aux? No problem! Transmit music and podcasts from your phone directly to your car’s FM receiver. Dash-mountable control button. The control button can be conveniently placed on your dashboard, where it’s easily within reach. Visor clip. Flexible microphone placement options ensure that you can talk comfortably.